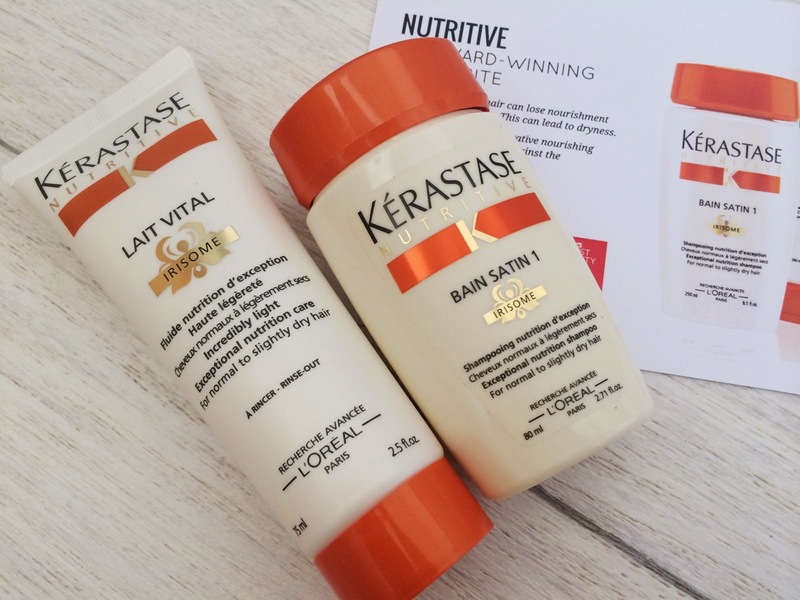 I was so chuffed to see these two in my box, I have always wanted to try some hair products from Kérastase as I've heard such good stuff, the price tag just put me off a little. Now I get the chance to give them a go and see if they are worth the money...excited! These are from the Nutritive range and are designed to nourish dry hair, which is what I suffer with to be honest!. I had a quick whiff of them - they smell lovely and fresh, it kind of reminds me of the L'occitane shea shampoo I had a while back with that slight baby powder fragrance. 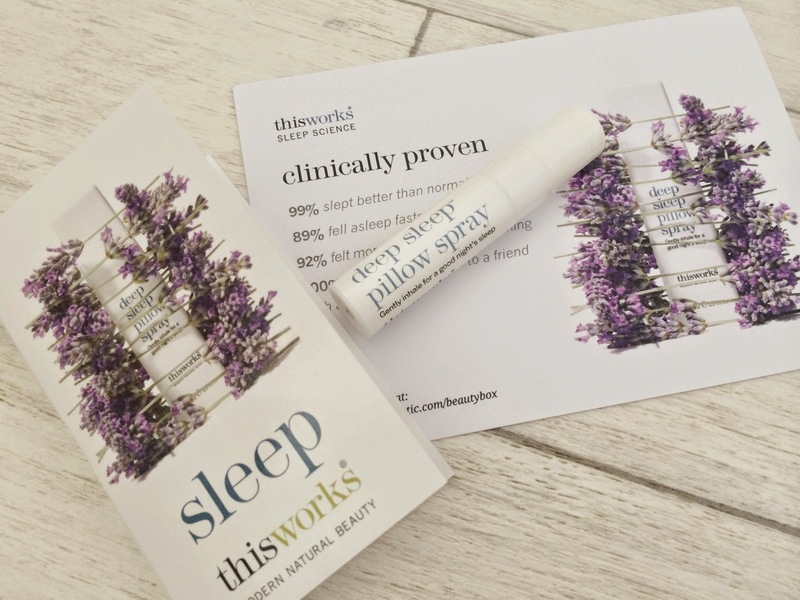 Another thing I was pretty happy to see in this box was the This Works Deep Pillow Spray, I have heard so many good things about this and I'm really enjoying calming/relaxing scents at the moment, so this was a perfect little 5ml edition. I shall be giving this a spritz on my pillow tonight but I did have a little smell earlier and it has a gorgeous lavender scent - Ask me what I thought of lavender scents a year ago I would have said one word to you ...granny! now I cant get enough of the stuff. This has also been clinically proven to help you get to the land of nod with ease - (not in their words..mine..ha!) I cant wait to see if it lives up to its claims. This product was the only thing that didn't really wow me much, just because I've tried it before..its pretty good don't get me wrong. I just feel like we are coming out of summer now so I don't think ill get much use out of this till next year - Plus I've never been much of a fake tanner to be honest. I have seen this about pretty much everywhere, and I think its been included in some other beauty boxes in the past, but none that I've ever had so I'm happy to give this a go. It says you can use this for face, body and hair - I think I will be using this for body as I love a good body oil. It has a light flowery/woody fragrance which is really lovely and its supposed to hydrate, nourish and rejuvenate your skin. 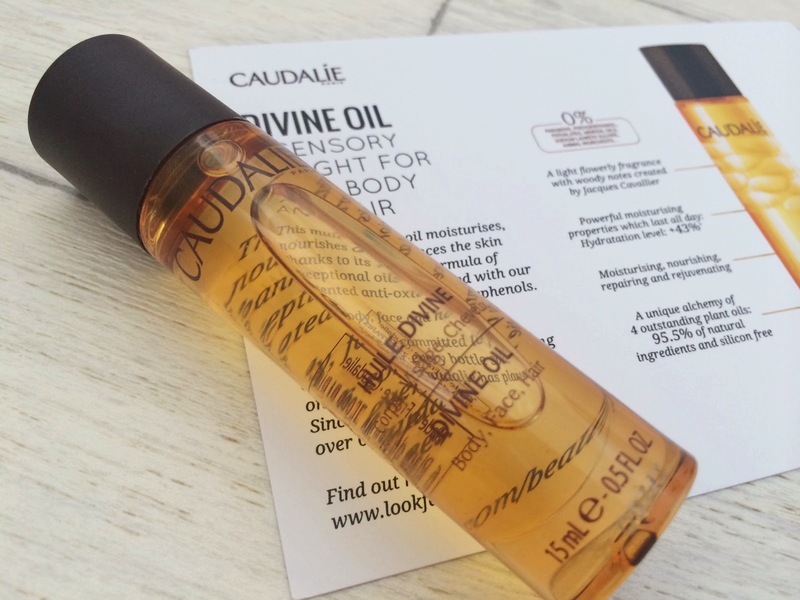 It seems to sink into the skin beautifully.. there is nothing worse than a body oil that is too thick and makes you feel all greasy. How cute is this little thing! 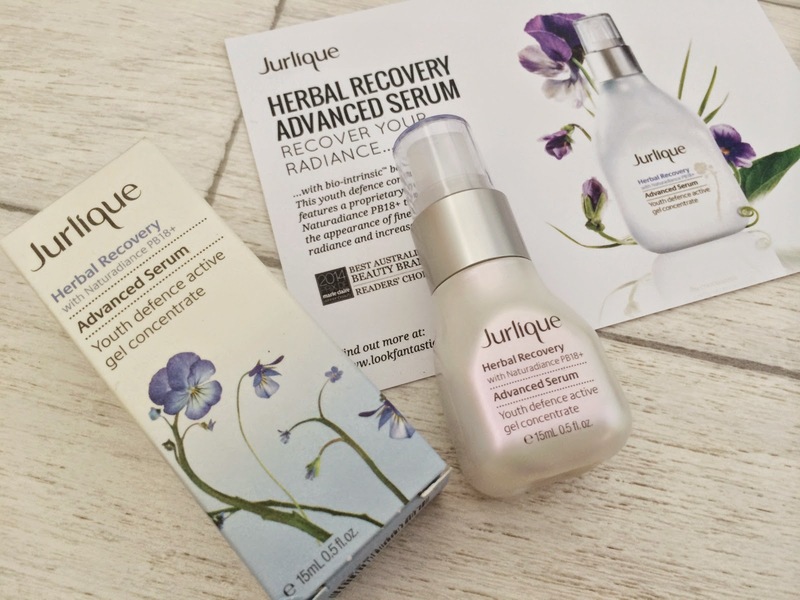 I have recently been eyeing up Jurlique products as so many beauty bloggers have been egging me on to try them out. So I was most excited to see this in my box..Hurray!! I absolutely love my face serums so cant wait to give this a go. I think their packaging looks really lovely and unique too, the little bottle has a little pearlescent sheen to it. This is a youth defence concentrate serum that helps reduce fine lines, restore radiance and increase your skins hydration. 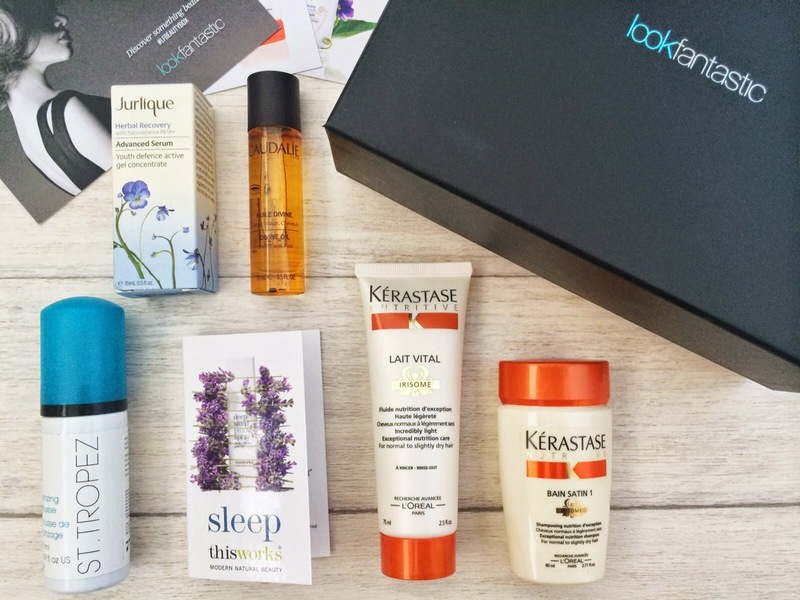 Did you purchase the Look Fantastic Beauty Box? Have you tried any of these products? what are your thoughts, I'd love to hear them. I'm so gutted that I missed the boat on this! Have ordered early for next month! I love that pillow spray. I spray it onto the underside of the duvet near to my shoulders as well as my pillow, so when I move the scent wafts around again. Looks amazing! I can't believe it's only £15! 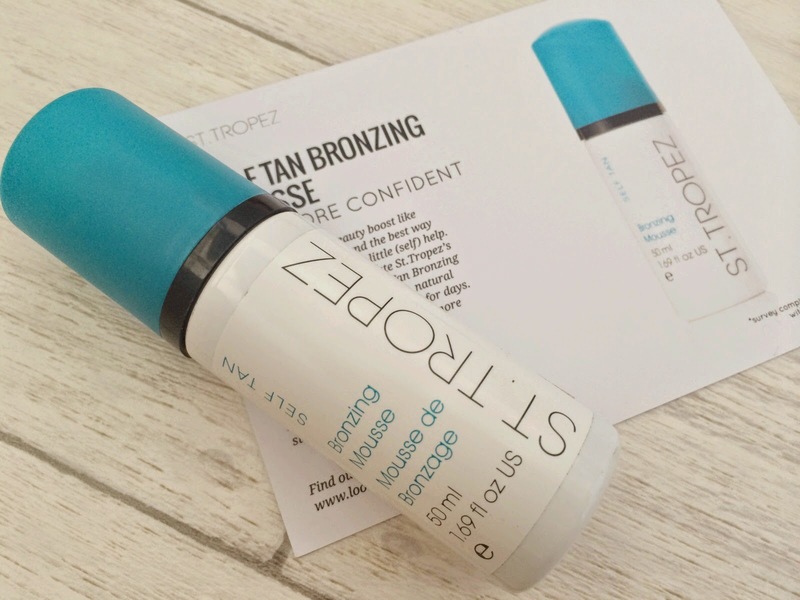 This is actually such good value, love that you get St Tropez in it!